Renowned for its HTC Sense Android overlay, the company is seemingly at odds what to do about Android Ice Cream Sandwich. It's a paradigm shift as far as Android UI is concerned, aiming to bridge the gap between the tablet and phone versions we have now, and thus get rid of most fragmentation issues. We are excited about the latest update for Android, Ice Cream Sandwich, and are currently reviewing its features and functionality to determine our upgrade plans. Our goal for Android updates is to give every customer an improved user experience, which means balancing each phone's unique hardware, HTC Sense experience and the Android kernel. While our goal is to upgrade as many of our recent devices as possible, we are committed to maintaining every phone's performance and usability first. Please stay tuned for more updates on specific device upgrade plans. It remains to be seen exactly which devices, how and when will be upgraded to Ice Cream Sandwich out of HTC's whole Android portfolio, but between scrambling to get new hardware out that is more suitable for ICS, and reviewing how to change the HTC Sense overlay now, something tells us it might take a while until we see the HTC Sensation 4G boasting Android 4.0. Sounds like we'll be waiting a long time to find out. Maybe you should have done more research before getting one then. Personally, I think that Sense is the most stable UI out of all the others. And now that I know what it's like to have all my text fit to screen when browsing the web, I'm spoiled for life. HTC is greato!! Always up and exclusive!! 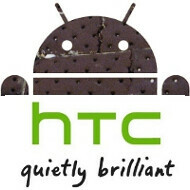 I'll be patiently waiting for an HTC ICS device. The prime's plastic is such a turnoff... I know HTC won't let me down in build quality. I just hope they find a better option to produce their screens. I can't say much now, but I don't think SLCD is gonna cut it for ICS... They need barely noticeable blacks to blend the phones screen with the nav buttons. They need to go back to amoled! I have three HTC phones to play with and all three of them are plastic, they only slightly feel more sturdy than samsung. when is comes to build quality, HTC and SE are the best when is comes to Android phones.. who ever comes with the ICS out the box model first will take my money.. I have the Evo 3D as well. I really prefer the AOSP/MIUI roms, but with those roms we lose 3D and 4G capabilities. Id love to have a pure ICS rom on my Evo 3D, I like sense but I prefer being able to customize it myself plus it uses more resources (cpu/ram). ICS doesnt allow deep customization my manufacturers like regular android does. Will HTC have to go the same route that samsung did with touchwiz on the galaxy tab? just adding some neat widgets and other minor things to differentiate? news like this pushes me back twards the nexus as i was thinking about waiting to see what the other guys brought to the table with ICS. tired of update limbo. I wasn't all-in with ICS a month back. I expected it to be a sort of retooled stock Gingerbread with on-screen menu buttons - great for the stock crowd, but not the masses. That changed when we got leaked screenshots a couple weeks ago. ICS has the distinctive, full-featured interface I thought only Sense was capable of providing. Seeing Gmail on ICS pushed me way over the edge. Did ICS just make Sense redundant? WTF!?!? Why should any company be scrambling to put out phones for ICS? Google take a lesson from Microsoft when it comes to integrating the people who support your platform in the development process. I want to see you guys allow everyone the ability to work on your OS while it's being made. You could work out so many problems together. Why just build this exclusively with one company? Yes put out the Nexus first but allow the HTCs, Motorolas, Lgs, etc. to have a seat at the table so this can be a truly open experience and they can make some amazing and timely products. HTC if you want to roll out something amazing follow Sammy's lead and look at the dev community.